Wow. 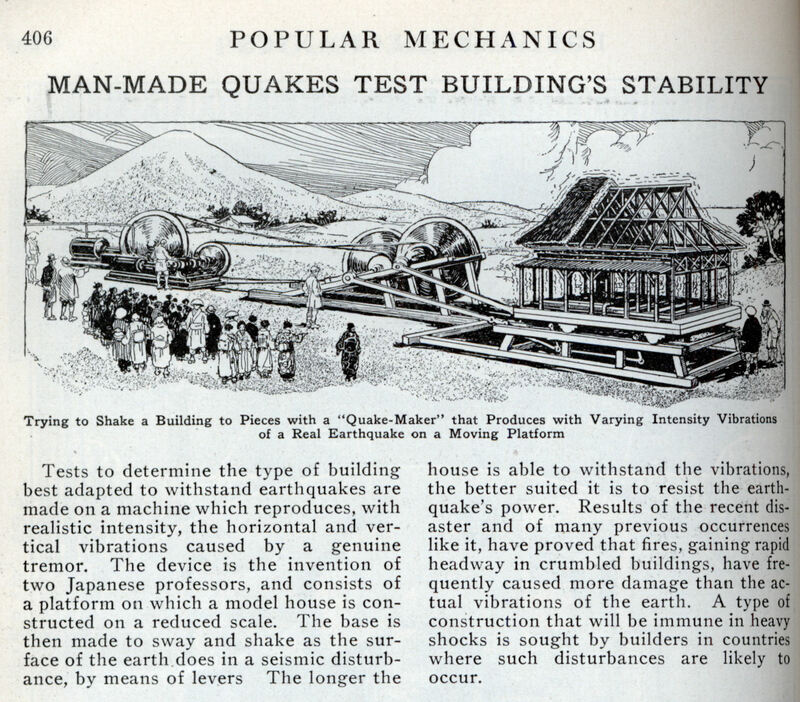 The Japanese have been quake testing buildings for a long time. Here’s a video of more recent, slightly larger test. Tests to determine the type of building best adapted to withstand earthquakes are made on a machine which reproduces, with realistic intensity, the horizontal and vertical vibrations caused by a genuine tremor. The device is the invention of two Japanese professors, and consists of a platform on which a model house is constructed on a reduced scale. The base is then made to sway and shake as the surface of the earth does in a seismic disturbance, by means of levers The longer the house is able to withstand the vibrations, the better suited it is to resist the earthquake’s power. Results of the recent disaster and of many previous occurrences like it, have proved that fires, gaining rapid headway in crumbled buildings, have frequently caused more damage than the actual vibrations of the earth. A type of construction that will be immune in heavy shocks is sought by builders in countries where such disturbances are likely to occur. “Wow. 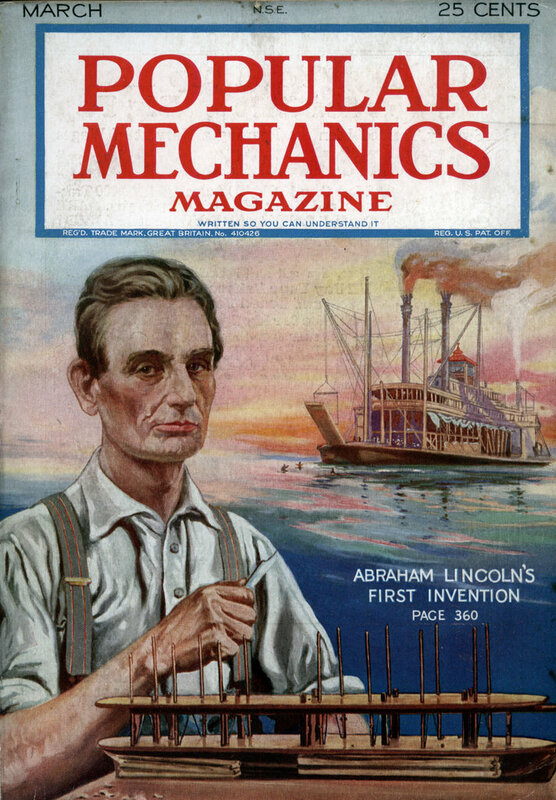 The Japanese have been quake testing buildings for a long time.” Well they’re been having earthquakes for a long time.